One of the most convenient, desirable locations within the Birmingham Metro area is Hoover located at the intersection of I-459 and I-65. Hoover began as a small, bedroom community to the much larger Birmingham but has grown over the years into a major business and economic center of the region. Hoover is home to several of the areas biggest employers including Blue Cross Blue Shield of Alabama. The largest enclosed mall in Alabama is located in Hoover as well - The Galleria Shopping Center. Hoover is located just 10 minutes from Downtown Birmingham and approximately 15 minutes from Birmingham International Airport. Hoover is easily accessible via local interstates and major highways. 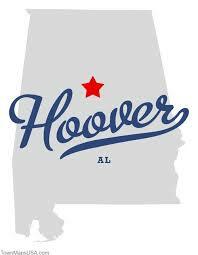 Hoover is just over two hours to Atlanta and just over four hours to the Beaches of the Gulf Coast. Search the #1 site for Hoover Real Estate listings.